If you’ve considered the path of Medical Assisting, one of your top questions is probably this: how much schooling to be a Medical Assistant? Unitek College offers a Medical Assisting program that enables students to embark on a new career and potentially change the course of their lives without spending several years in school. Today, we’re taking a closer look at Unitek’s MA program and the high-tech city that surrounds our San Jose Campus. This list is the second part in a series of facts about Medical Assisting and San Jose. Otherwise, keep reading to learn more about Medical Assisting and San Jose! San Jose: According to an article on San Jose Online, San Jose has “the record for registering the highest number of patents in the country” and is home to some of the world’s biggest corporations, such as “Yahoo, Google, Intel, and Adobe.” Since business is booming, there are likely numerous networking opportunities in San Jose. Without a doubt, it’s an exciting place to be! San Jose: Take advantage of your time between Medical Assisting classes with the great outdoors. An article from San Jose Online delves into this topic, relaying that “more than 59 trails are present in San Jose for nature lovers to engage in hiking and trekking.” If you’d like some specific ideas, you could try the Sierra Vista Open Space Preserve for a sun-filled hike with trees and cows alike. You could also try Alum Rock Park or the Almaden Quicksilver County Park for a fun day with the family! MA: The primary goal of Unitek’s MA program is to prepare graduates for entry-level employment. Successful graduates will perform numerous administrative and clinical tasks while on the job. Because Medical Assistants can potentially fill two roles, it’s vital that they are knowledgeable in both areas and receive rigorous Medical Assistant training. San Jose: Looking for yet another fun thing to do in your free time? According to San Jose Online, the city’s Rosicrucian Egyptian Museum “has the largest collection of Western Egyptian artifacts.” Additionally, you can see the Winchester Mystery House of San Jose, which is “one of the largest Victorian houses in the U.S. with over 160 rooms.” The Winchester Mystery House features several fascinating oddities, including a door to nowhere, a staircase to a ceiling, and suspicions of paranormal activity. MA: At Unitek’s San Jose Campus, successful graduates of the MA program will be proficient in various administrative functions. These include tasks like scheduling appointments, updating patient charts, replenishing supplies, managing billing-related tasks, and coordinating hospital admission or laboratory services. San Jose: On your next study break, you could check out San Jose’s Municipal Rose-Garden. It houses “189 varsities and 4,000 rose bushes, which is a record of its kind,” said San Jose Online. If you’re feeling stressed or overwhelmed, it can sometimes help to literally stop and smell the roses. MA: Along with administrative tasks, Medical Assistants may also be expected to perform various clinical duties. These can vary depending on state law, and may include the following: preparing laboratory specimens, sterilizing medical instruments, readying patients for x-rays, taking electrocardiograms, removing sutures, and changing dressings. San Jose: Picture this, it’s a weekend morning, you’ve just completed a week of successful Medical Assistant training, and now you’d like to grab some coffee and walk with a friend. In San Jose, you can enjoy your sun-soaked walk with a little something extra! According to San Jose Online, Guadalupe River Park is where “the largest Monopoly board in the world can be found.” If you’ve been craving some Monopoly at the park, you’ve certainly come to the right place. And that concludes our list! 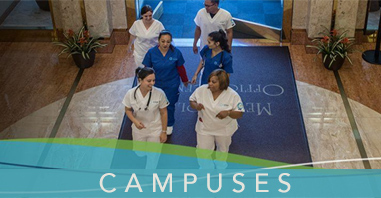 We hope we’ve provided you with plenty of information about San Jose, Unitek College, and Medical Assisting. 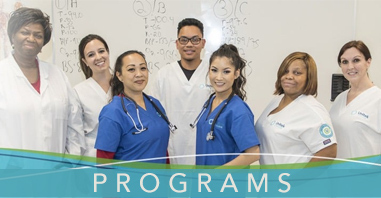 If you’d like to know more about Unitek and how much schooling one needs to be a Medical Assistant, please contact our representatives at the San Jose Campus.